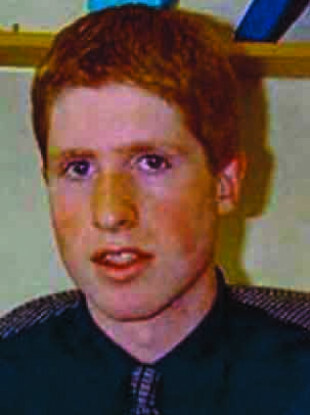 GARDAÍ INVESTIGATING THE disappearance of 22-year-old Trevor Deely in December 2000 are following new lines of inquiry that are bringing them closer to finding out what happened to the young man. Today marks 17 years since Trevor, who was from Naas in Co Kildare, went missing after his work Christmas party. He worked for Bank of Ireland Asset Management and had gone back to his office in the early hours of the morning to collect an umbrella for his walk home. The last sighting of Trevor was captured on CCTV at an ATM on Haddington Road at 4.44am on 8 December 2000. In August this year, gardaí announced that a search was beginning on a site in Chapelizod based on new information investigators had received. The search for the young man’s remains was called off in September and gardaí said at the time that they had not found anything that would assist in helping them locate him. Speaking to TheJournal.ie this week, Detective Inspector Paul Costello said the decision to search the site was based on “a very genuine piece of information”. “A lot of it added up and it did fit, so we couldn’t leave it behind us,” he said. Trevor’s sister Michele has described the experience over August and September this year as “incredibly difficult”. She said some of the theories put forward in the media, which included a suggestion that his disappearance maybe gangland-linked, made things worse for the family. “We knew a dig had very serious connotations, and what may come from that, but to do it in such a glare of that type of headline… certainly for me I had never ever imagined that’s what happened to Trevor that night,” she told RTÉ’s Ray D’Arcy Show on Saturday. Detective Inspector Costello told TheJournal.ie that, 17 years on, gardaí are still actively investigating this case – and they are not going to stop. Since that search finished, we’re happy to put that behind us and we’re looking at other avenues. There’s one or two lines of inquiry that have us very, very busy and we’ll see what develops from there but we’re not stopping. They’re independent of it [the search] and there’s a lot of facets to it and a lot of different angles that we’ve been working on. Through old-fashioned policing we’re tracking down people and as we find them, every now and again, we’re getting to someone who knows something or saw something – little bits – that’s putting us in the right direction. In April this year, gardaí had released enhanced CCTV footage of the morning the 22-year-old disappeared. The footage shows him talking to a man outside the gate of his office and later footage shows a person gardaí believe is this same man passing the ATM on Haddington Road just seconds after Trevor. Costello said that it was a busy morning with a lot of “comings and goings”. “There was a taxi strike, there was a lot of people there – early morning delivery people, there were people still working through the night as there were in Bank of Ireland Asset Management [where Trevor worked],” he said. “There was lots of other people in that area, you know, prostitutes, their minders, other people who were connected to that area and also the late night shops and garage – people in there buying fuel and so on. All of those people have to be tracked down through appeals, through every kind of method. All those people have to be spoken to and we’re still tracking them down. When asked whether he was confident that gardaí could still find out what happened to Trevor, Costello replied with a simple “Yes”. Crimestoppers is still offering a reward for anyone with information in relation to this case and can be contacted anonymously on 1800 25 00 25. Email “Trevor Deely investigator says new lines of inquiry are keeping gardaí 'very busy'”. Feedback on “Trevor Deely investigator says new lines of inquiry are keeping gardaí 'very busy'”.